Free Shipping Included! 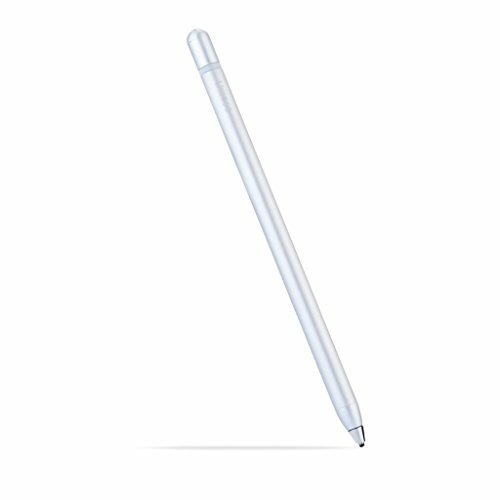 Pendorra - Active Fine Point Stylus Pen Drawing Pencil for iPad, iPhone, Samsung, Windows Tablets, Android Device and Other Touch Screen Devices-Silver by Pendorra at DJ Luu. MPN: unknown. Hurry! Limited time offer. Offer valid only while supplies last. Silver pendorra penPendorra touch pen independence is one series of smart pen, which is used on almost of cap-touch devices,e.g. smart phone and pad. Pendorra touch pen independence is one series of smart pen, which is used on almost of cap-touch devices,e.g. smart phone and pad. Anyone can take a note or draw or write with this pen naturally as a real pen. -Write And Draw On All Touch Screen Device, No Device or App Limited, No Pairing Requested. -Charging : Pull out cap, and charge with Micro USB adapter. If you have any questions about this product by Pendorra, contact us by completing and submitting the form below. If you are looking for a specif part number, please include it with your message.